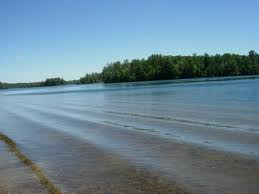 Healthy Lakes Project Wants More "Fish Sticks"
A webinar Thursday will give lakeshore property owners information on a new DNR initiative boosting private sector involvement to care for Northwoods lakes. The Healthy Lakes effort will help fund a limited number of local projects focusing on simple ways to improve fish habitat, improve native plantings, divert and clean runoff water and promote beauty. ....we were looking for a way for lake shore property owners like associations could get a streamlined way to do good things for lakes without going through a lot of red tape...."
".....they're anchored in place near the shore and out into the shallow water area, like we talk about fish cribs that we sink, these would be right on the shoreline. They're not just for fish but a lot of our other acquatic fish species...."
There is $200,000 available statewide. Grant awards are capped at $25,000. Schaal says a goal is to increase single-property participation in Healthy Lakes best practices by 100 percent between next year and 2017. The webinar is set for 3 p.m. on Thursday, November 13. More information is on the DNR website.